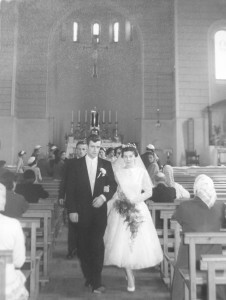 Tommy and Kathleen Ryan were married in the Church of the Most Precious Blood in Cabra West in 1958. I had the pleasure of meeting and talking to this wonderful couple who are 54 years married today. Now isn’t that a record to be proud of? Tommy started off his working life as an apprentice butcher and Kathleen once worked for a short period in Crean’s Soap Factory in North King Street. Tommy was born a southsider until his family moved to Cabra West when he was about 14 years old. Kathleen was 3 years old when her parents moved from Church Street to Cabra West. 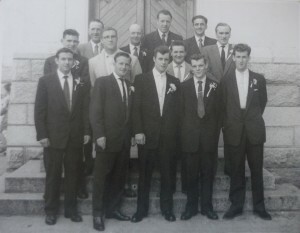 L-R front row: Jackie Keegan, Michael Ryan Tommy Ryan (Groom), Stephen Kelly, Anthony Dennis. 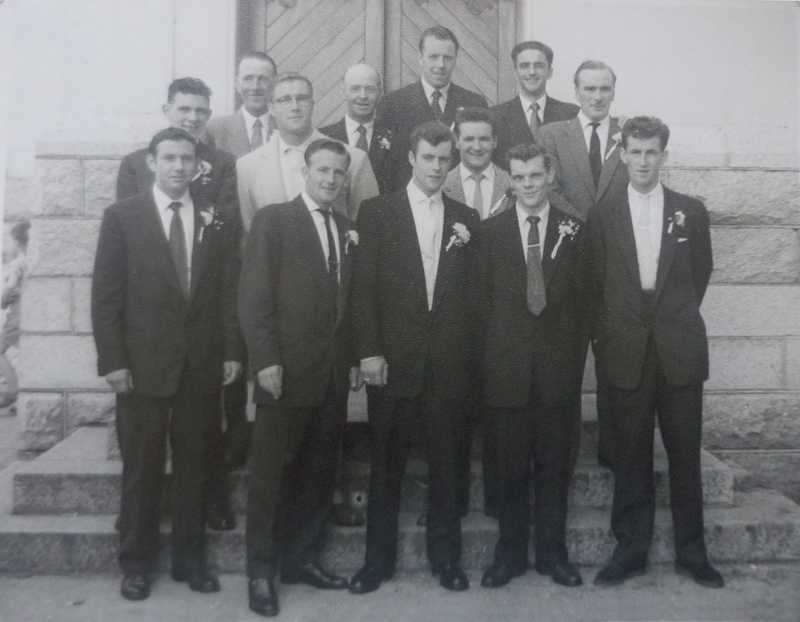 L-R back row: Tommy Brady, Christie McKeever, Bill Ryan, Jim O’Neill, Paddy Mullen, Andy Harold, Johnnie Mullen and Hilary Sweetman.